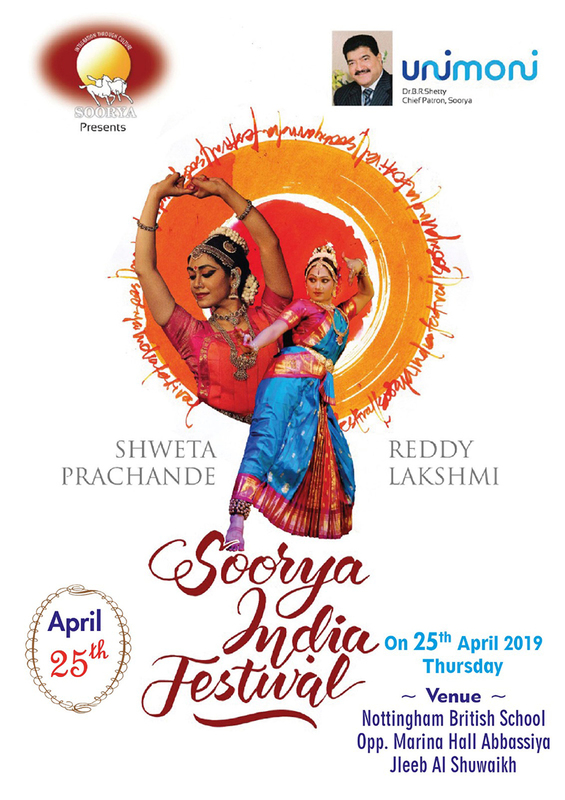 This time Soorya is coming up with a mix of classical dances – a Bharatanatyam by Swetha Prachande and a Kuchipudi by Reddy Lakshmi, both are well-known in their respective fields. Prachande has been recognized as one of Bharatanatyam’s leading young dancers in today’s generation. Presently training under Guru Priyadarshini Govind, her dance is a mixture of crisp movements and energetic dynamism. Having learnt Kalaripayattu, the aesthetic styles and techniques make here unique and enthralling. Reddy Lakshmi is also one of the talented Kuchipudi performers of the generation. She has been learning Kuchipudi for the last 15 years under eminent Gurus Padmasree Jayaram Rao and Vanashree Rao. With a keen interest to spread Kuchipudi, her performance will also be entertaining. Soorya India, led by versatile mastermind Soorya Krishnamurthy, is present in 20 countries. It has been propagating the art of India’s outside the country for the last 17years with active support of its Chief Patron Dr. B.R. Shetty, Managing Director, NMC Group of Companies.